Be it a Rice Kheer or Sabudana Kheer, we simply dote on it! Its a culture which has cascaded down from generation to generations - from our Grand Mothers to our Moms and then to us. 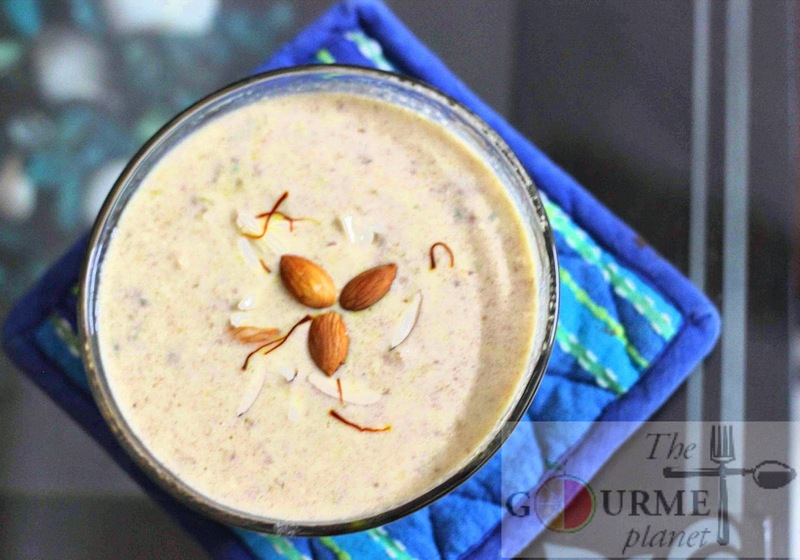 If you yearn for the goodness of your granny's or mommy's home-cooked sweet delicacy, try this Dates & Almond Kheer and it will bring back the authentic flavors of Nostalgia! 2. Let the milk simmer in low flame. Meanwhile, peel off the almond skin and coarsely grind around 20 gms of Dates and 10 gms of skinned almonds in a mixer along with the milk kept aside. 3. Add the dates-almond paste to the milk and stir thoroughly and let it simmer for another few mins. 4. Chop the remaining dates, skinned almonds & pistachios and add them to the mixture. 5. Add rose water, cardamom, kishmish to the kheer.Give it a stir. 6. Check for sweetness and if you wish to add sugar, add it as per your taste. NOTE: As per the sweetness required, you can replace sugar with condensed milk as well. 7. Once the milk has reduced a bit in quantity and has slightly thickened, turn Off the flame. 8. Let the kheer cool and transfer in a bowl and garnish with saffron and almond at the time of serving. Stay sweet and spread love!